HAMBURG – General Motors Co. plans to cut 1,200 jobs at its Opel plant in Bochum, Germany, a German newspaper reported, citing the head of the company's works council. Opel, the European unit of GM, had planned previously to reduce the Bochum workforce by 1,800 positions through voluntary departures but not enough staff accepted the proposal, Rainer Einenkel told the Rheinische Post newspaper. This resulted in GM ''asking me seriously to approve'' the firing of 1,200 workers, Einenkel said. An Opel spokesman told the newspaper on Friday that talks on the subject with personnel and employee representatives are continuing. The company had sought to reduce staff voluntarily by offering severance payments and assistance in finding other employment, but only 600 staff accepted the offer. Opel is now offering some workers the possibility of relocating to the company's Ruesselsheim plant, near Frankfurt, where there are 300 vacant positions, with cash incentives of up to 25,000 euros ($35,481). GM's money-losing division seeks to return to profitability after reducing capacity by a fifth and cutting around 8,000 of its 48,000 workforce. GM Europe was GM's only unprofitable division in 2010. 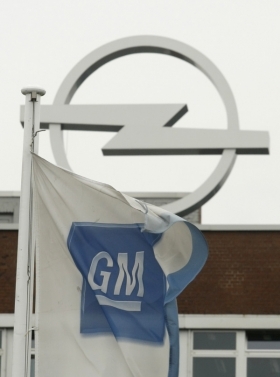 Black ink from Opel would be key to GM Europe's recovery. GM lost $1.76 billion in Europe in 2010. The company is expecting to Opel to break even this year before starting to generate profit for its parent company from next year. In 2009, GM dropped plans to spin off Opel, backtracking on months of negotiations to sell it. The German government waged a high-profile battle against any sale. Opel has essentially wiped away perceptions among European consumers that it may not survive, but it may take about five years to restore the brand's image in its home market of Germany, the company's CEO Nick Reilly has said. On Thursday, Opel announced that Karl-Friedrich Stracke, 55, will succeedi Reilly as CEO of the company, effective April 1. Reilly will continue as head of European operations and strategic issues and will be nominated to chair Opel's supervisory board.